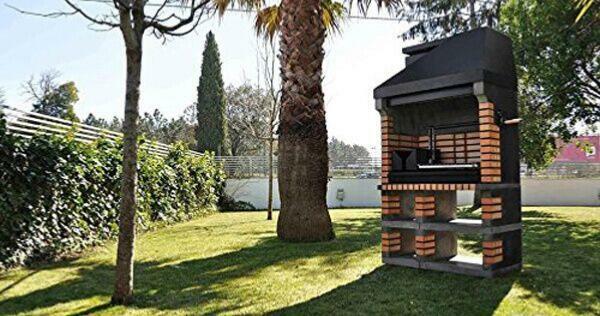 Pan American Brick Masonry BBQ Grill - The Ultimate in Wood BBQ Grilling. Best BBQ taste Ever! 60 x 50cm Cooking area. 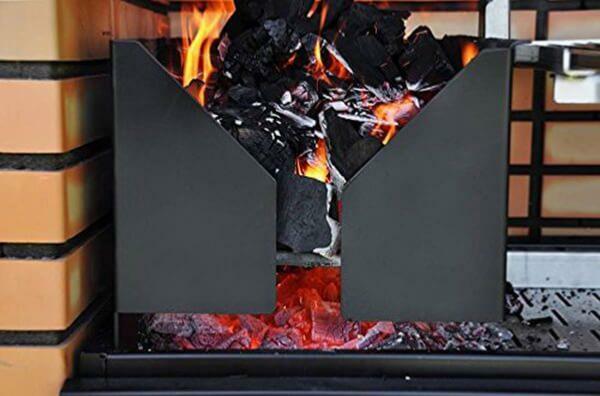 Using a side Brazier you can create a real log fire - using hardwoods such as oak or beech. As the embers drop through underneath they are spread under the cooking grill as required using the poker provided, for an authentic Southern or Pan American style cooking experience. 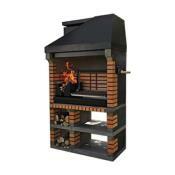 This allows you to create either a direct or indirect cooking system for the very best in flavour and experience. 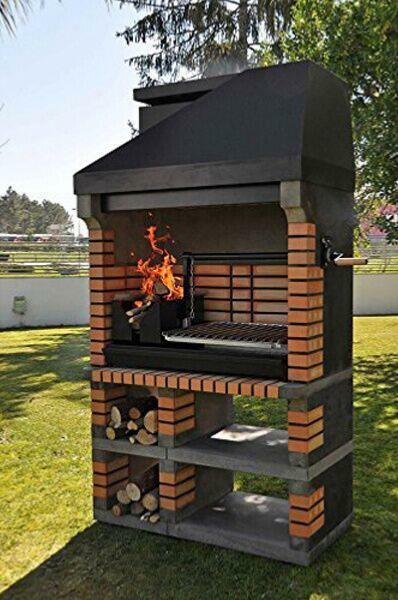 A huge and high quality BBQ grill - Amazing to look at and simply brilliant to cook with. All supplied ready to build, you can assemble with a mortar or silicone adhesive (not supplied). Whilst some of the components are heavy - it is not technically difficult to assemble. Full instructions are provided. This amazing BBQ grill is ready to go, the stainless steel grill has the true churrasqueira experience - each slat is V shaped which allows any fats to drain down the channel and into the drip tray provided - this helps prevent flare ups and uneven cooking. 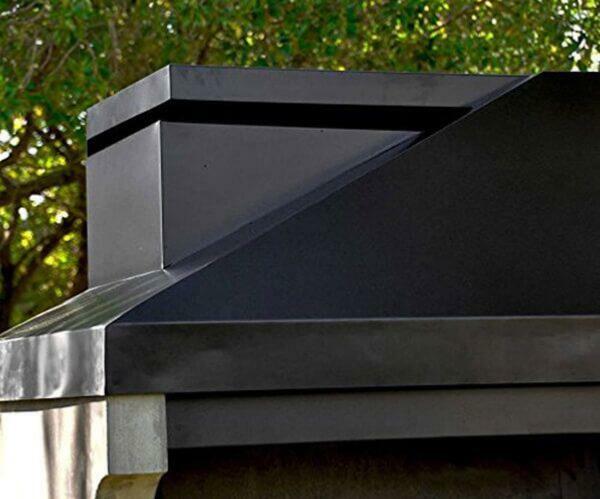 Having a grill of this design also allows you to get the amazing grill marks on your meat and vegetables. 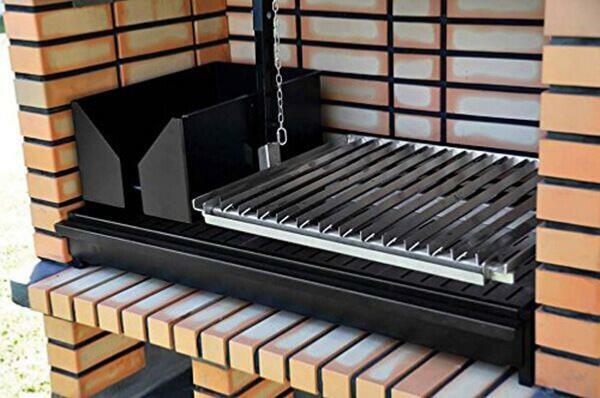 The grill can be raised and lowered above the heat to ensure even cooking and distribution, it has a fabulous mechanism using a chain to raise and lower the grill over the coals. With perfect heat distribution, brilliant cooking results and the ability to sit next to a log fire after your food - this BBQ is sure to please. Built to last a lifetime! Can be used with wood, logs or charcoal. True Wood Fired BBQ Cooking - Pan American Style. 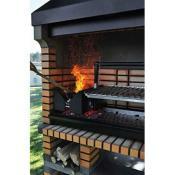 BBQ grilling over Wood Embers - Includes Brazier. Try the real Churrasqueira experience. 60 x 50cm Cooking area. This item is delivered on a pallet by lorry.